We always pride ourselves to offer our residents with a good selection food. Each of the meals is carefully crafted so that they are not just delicious but nutritious as well. 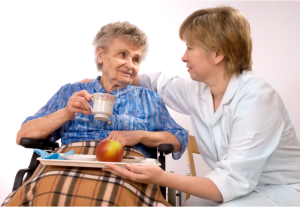 Here at Bethany Assisted Living, we have nutritionist-dietician who works in conjunction with our kitchen staff so that each food served provides the needed calorie intake each of our residents requires in a given day. We provide 2 meals each day with at least 2 nutritious snacks in between. This has always been an essential part of our care package. Every single day, our residents can look forward to the wide selection of meal options. We also offer continental dishes at different times of the week. Our residents are always guaranteed that each meal is prepared using the freshest ingredients available in the market. We also accommodate personal preferences or religious food restrictions.